🍸 Yes, We Have A Bar! 🍷 Our Menu! Fine beers and wines are available for purchase by the glass or bottle at our fabulous Wine Bar, and we also have non-alcoholic beverages! We also have the ability to stock some of your favorite wines and beers upon request, so just let us know what you like! Some of our customers have asked why we have a bar instead of being BYOB. We are pleased to offer our Wine Bar as a convenience to our customers that will save you valuable time and money! We stock our drink selections wholesale from the same distributors as other local bars, restaurants and supermarkets....and guess what? It costs the same or less to buy from us. Bring your own snacks or favorite foods. 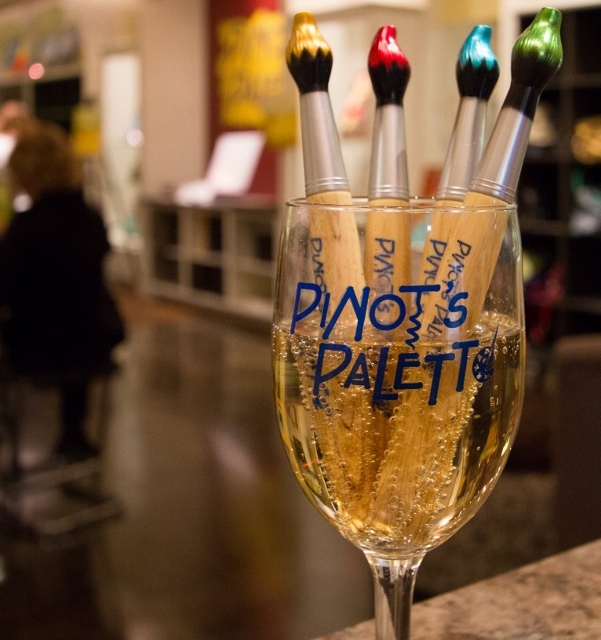 We provide everything else needed for an entertaining art experience. BYOB Not Permitted. Drink selections subject to change without notice.